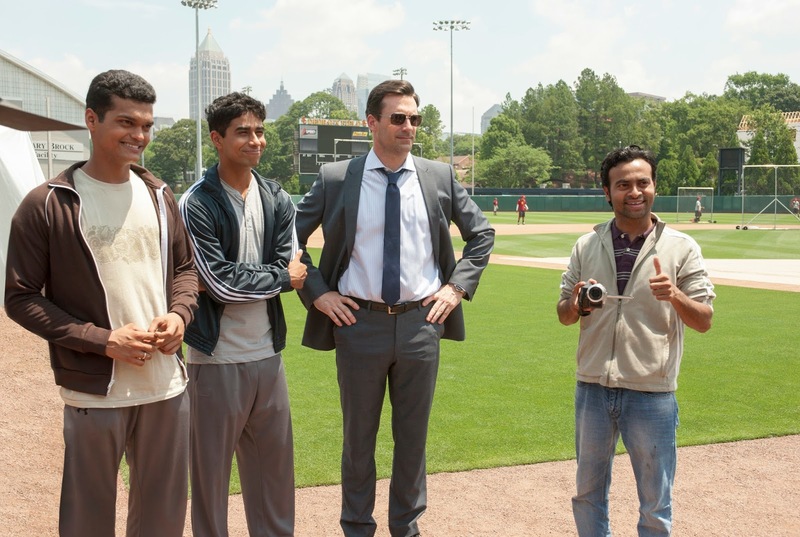 Directed by Craig Gillespie, Million Dollar Arm is a heart-warming and well-told tale that remains appealing in spite of its unsubtlety, and you certainly don’t have to be a baseball fan to enjoy it. Based on a true story, Million Dollar Arm focuses on J.B. Bernstein (Jon Hamm), a floundering sports agent who is in desperate need of a big signing. Late night channel-flipping between a cricket match and Susan Boyle’s ‘I Dreamed a Dream’ brings inspiration (as it so often does) and soon Bernstein is journeying to India to host a talent competition that will determine which would-be cricketers have the best chance at being groomed into baseball players. Returning to America with the contest winners Rinku Singh (Life of Pi’s Suraj Sharma) and Dinesh Patel (Madhur Mittal) in tow, the two prospects soon begin training under unorthodox coach Tom House (Bill Paxton), but have difficulty mastering both the game and American culture.